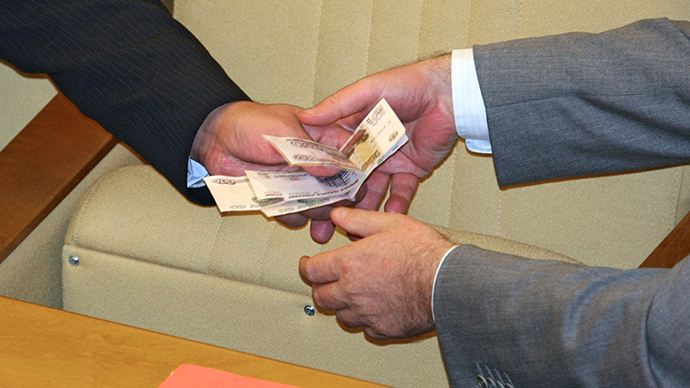 The Russian Ministry of Labor has come up with a list of phrases not to be uttered by government officials, as they can be perceived as encouraging bribery. These idioms have long been used by Russians as hints at the need to sweeten a deal. Bureaucrats are advised not only to be careful choosing their words, but selecting topics for conversation as well, the ministry stated on its official website on Monday. Among the ‘corruptogenic’ ones are officials’ low incomes, their wish to acquire something expensive, problems their relatives have or the need to send their children to schools. Whether the devil of Russian corruption disappears if he is not spoken of is a big question though. The country’s civil servants have so far secured the country its 133rd place out of 176 in the Corruption Perceptions Index (the less corrupt a country, the closer to the top of the list it is). And this leads to the belief that Russian bureaucrats might prove inventive enough to comply with the recommendations and at the same time continue to extort money from people who need their help. President Vladimir Putin – as well as his predecessor Dmitry Medvedev – have for some time championed tackling corruption as one of their top goals. 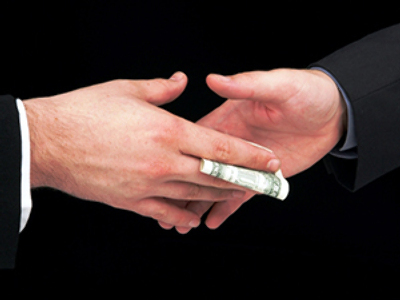 “Citizens’ trust in the government largely depends on how well we [tackle the corruption problem]. And that, in turn, is projected on the stability of the state and its efficiency,” Putin said on Tuesday, at a meeting of the board of the Prosecutor General's Office. In a bid to further clamp down on abuses of power, the president proposed a bill that bans officials from having foreign bank accounts or shares. The idea of prohibiting civil servants from owning real estate abroad is also being mulled over. Top officials and MPs have already been forced to declare not only their personal incomes but also that of their spouses and children. The Kremlin’s war on corruption has already claimed some high profile scalps. In November, following a major corruption scandal involving Russian firm Oboronservis, Putin fired Defense Minister, Anatoly Serdyukov. Over the past several months, Russia has been hit by a wave of high-profile graft scandals, in which billions of roubles went missing from the budget. Back in February, police announced they had uncovered the embezzlement of over $33mln in state funds from RusHydro, one of the nation's biggest power generating companies.